Shortly before my daughter was born, I announced to family members and other well-wishers (who might otherwise have gathered at the crib festooned with Disney merchandise) a ban on Winnie-the-Pooh. No Pooh toys. No Pooh dancing on the wall. No Pooh on the bedding (at least not of Milne’s making). My stance shocked and appalled people, but I was firm. Milne’s books, I have not banned. My daughter (now 7 years old) has a collection of his work on her bookshelf, and if she ever has the inclination to read it she is most welcome to do so. But if someone includes Milne on a ‘100 Books you must shove down your child’s throat before they’re 8’ sort of list, I shall ignore them. So, why the anti-Pooh stance? In my last piece, Suffering from Cheerfulness, I lamented the damage inflicted on Wodehouse’s reputation after he made five radio broadcasts from Berlin. They were gently comical pieces about his capture by the German army and subsequent life as an internee (civilian prisoner). There was nothing in their content, or Wodehouse’s actions, to suggest that he was either a Nazi sympathiser. The worst that’s been said of Wodehouse by those who’ve examined the facts, is that he was naive – not realising that his broadcasting from Germany to still-neutral America may have had propaganda value for Germany. Wodehouse was a humorous writer with little understanding or interest in the nuances of international affairs, and after a year in various prison camps, he had been completely isolated from the events of the war. Nothing would have come of the episode, and Wodehouse’s character would have survived the war unstained, if a small number of individuals hadn’t decided to make an example of the affair for propaganda purposes in Britain. The behaviour of these people deserve the same scrutiny and exposure metered out to Wodehouse. 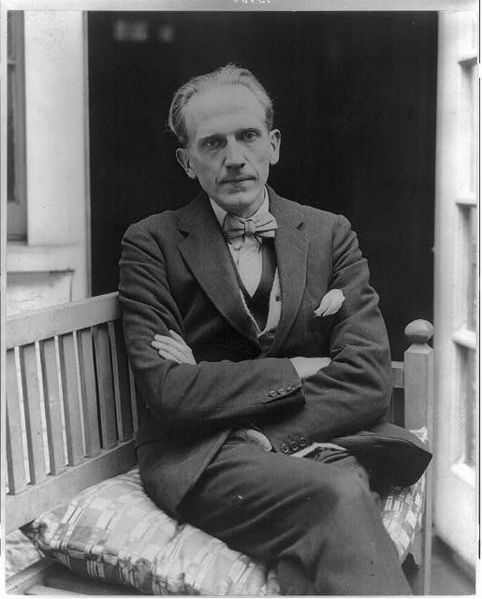 A.A. Milne was not the chief culprit. That dubious honour is awarded to columnist William Connor, who wrote scathing attacks on Wodehouse in The Daily Mirror under the under the pen-name Cassandra. Why A.A. had it in for P.G.by John Simpson at the inimitable Russian Wodehouse Society page is a thorough discussion of the issue. The P. G. Wodehouse/A. A. Milne Feud builds on Simpson’s assessment at Blogspot ‘Strange Company: A walk on the weird side of history’ . I’m yet to read an account of the matter that defends Milne’s behaviour. Perhaps, as a writer of official propaganda during the first world war, Milne saw the broadcasts (already sensationalised by Cassandra) as a chance to be ‘of service’ to the war effort – as well providing a boost to his own reputation. But Milne’s attack on Wodehouse extended beyond propaganda, into the personal, including ‘recollections’ of private conversations that Milne either misremembered or falsified to suit his purpose. Milne and Cassandra might be forgiven more easily if either had shown signs of repentance in later life – or if Wodehouse’s reputation had not been so inexcusably and lastingly damaged. As mentioned in a previous post, I still meet people who think Wodehouse was a Nazi collaborator, and are curiously reluctant to be persuaded otherwise – a triumph of propaganda and bile winning out over the facts. Some refuse to read his work on account of it. Others belligerently misread him. As a mere reader of books – and middle-aged female of no consequence – I can’t right the wrongs of history or persistent small-mindedness. Banning Pooh from the nursery was a small gesture that few people understood at the time, but stance I’m proud to have taken. This is an interesting circ. because as a child I loved Winnie the Pooh, especially Tigger and Kanga, and knew nothing of A.A.’ s low treatment of Plum. When I first heard of the sneaky attack on Plum I was aghast at Milne, who was supposed to be a friend, but when you study the matter, it seems like Milne was no different than a lot of other ill-informed, short-sighted, perhaps not inappropriately scared people at the time in England. Add a bit of professional jealousy and Milne’s words are more humanly comprehensible if, reprehensible yet. Still I think Plum had a nice last laugh in Timothy Bobbins. So I am still able to enjoy Milne, and looking forward to reading Winnie the Pooh to my grandson, secure in the sense that as ever Wodehouse triumphs and trumps. The real great day will be when that grandchild is old enough to read the Master for himself. Thanks Ken. Your assessment is a sensible, level-headed one. As you say, Wodehouse wins out. It was perhaps easier for me to ban Pooh as I had not read him at all in my own childhood so I have no sense of a treat being denied. I hasten to clarify that I only banned Pooh merchandise from the home – not the books. I’d never ban books. I haven’t encouraged or discouraged her to from reading them. They are on her bookshelf. Hi, I understand and I’m in bit of a moral fumble about it. Loved Pooh since I was a child and still do, only to find out he’s done said these awful things about Wodehouse, perhaps one of the most Pooh like people you can ever meet. Has your child started reading Wodehouse? Hi Matthew. I think the answer is to continue to enjoy both. Wodehouse remained a Pooh fan, I believe. My daughter likes the Jeeves stories. Some of the terminology is lost on her still. Thanks for including a link back to my article at Tavistock Books! A pleasure indeed. I loved it. Very kind of you, Ashok. I know not everyone agrees, but thought I’d share my views on the subj.